No problem Mike,just put 2 up now,don't be shy if you have any questions!! 11:34 AM - Catmonkey mentioned KodiakMustang in post Heat Extractor Removal? 08:25 PM - KodiakMustang mentioned JTB in post Re: Side shot Saturday! Let’s see whatcha got! 08:25 PM - KodiakMustang mentioned Carsten89 in post Re: Side shot Saturday! Let’s see whatcha got! 06:28 AM - KodiakMustang mentioned 1 Alibi 2 in post Re: What do you do for a living? 04:35 PM - KodiakMustang mentioned RedDragon in post Re: Feb. is FordGT500.com's 4th annual "YOU in your sig pic" month! 04:35 PM - KodiakMustang mentioned 03reptile in post Re: Feb. is FordGT500.com's 4th annual "YOU in your sig pic" month! 04:36 PM - Goose17 mentioned KodiakMustang in post Re: What'd you do today? 08:34 PM - KodiakMustang mentioned 'cause in post Re: Post a pic of your car! 07:48 PM - 'cause quoted KodiakMustang in post Re: Decided to order a GT350! 05:44 PM - 03reptile quoted KodiakMustang in post Re: Decided to order a GT350! 05:40 PM - 'cause quoted KodiakMustang in post Re: Tax deadline today! 06:03 AM - Catmonkey quoted KodiakMustang in post Re: SHELBYFEST 2019...Yep, it's coming! 07:13 PM - Goose17 quoted KodiakMustang in post Re: SHELBYFEST 2019...Yep, it's coming! 05:48 PM - 'cause quoted KodiakMustang in post Re: Motor Monday! Let’s see whatcha got! 05:32 PM - 'cause quoted KodiakMustang in post Re: Motor Monday! Let’s see whatcha got! 09:55 AM - 'cause quoted KodiakMustang in post Re: SHELBYFEST 2019...Yep, it's coming! 07:25 AM - Ford Fest quoted KodiakMustang in post Re: What'd you do today? 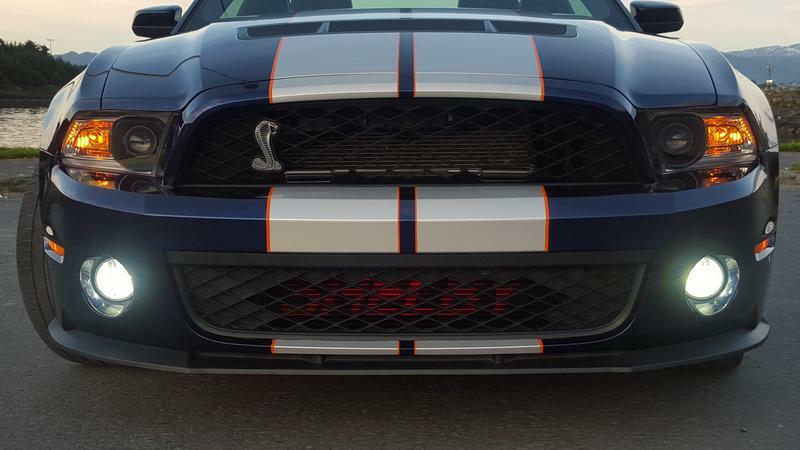 01:39 AM - blackcad55 quoted KodiakMustang in post Re: SHELBYFEST 2019...Yep, it's coming! 09:32 PM - Ford Fest quoted KodiakMustang in post Re: What'd you do today? 01:19 PM - Catmonkey quoted KodiakMustang in post Re: SHELBYFEST 2019...Yep, it's coming! 12:12 PM - Mctag quoted KodiakMustang in post What'd you do today? 11:22 AM - Catmonkey quoted KodiakMustang in post Re: SHELBYFEST 2019...Yep, it's coming! 09:12 AM - Evil_E quoted KodiakMustang in post Re: SHELBYFEST 2019...Yep, it's coming! 08:38 AM - Mctag quoted KodiakMustang in post What'd you do today? 08:33 AM - Mctag quoted KodiakMustang in post Rock chips - what to do?